On Tuesday I shared about the birthday gift I gave myself four years ago that changed my life. Just as I had given myself the promise of something new back in 2013, I’m doing the same thing as I enter 2018. The past few years have been ones of self-discovery and growth. As I prepare to step into 2018, I feel powerful and terrified at the same time. Powerful because I’ve connected with who I am so deeply that I regularly practice making courageous choices that are in alignment with who I am. I feel terrified because in 2018, I’m chasing my biggest dreams yet! Each year, I like to dream the biggest dream I can for my life and make them reality. Going into 2014 that meant leaving my comfy corporate job and starting my own business in the pursuit of fulfillment. In 2015, it was about self-discovery, reflection, and following my curiosity. 2016 was a year of learning, growing, and starting to re-plant the garden of my life. 2017 was a time of really living with intention, launching my business and sowing more seeds in my garden of life. In 2018, I’m going all in! I’ve been sowing and cultivating seeds for the past two years. I’ve been investing in myself in many ways to help me better tend to my garden. I’ve done a lot of weeding and pruning in addition to sowing and cultivating. The fruit is finally starting to grow and now it’s time to harvest it. I’m doing things I’ve never done in 2018 and I’m as nervous as I am excited. I have no certainty as to how things will unfold or guarantees that my endeavors will be successful. What I do have is very clear intentions and a detailed Intention Plan. I’m clear on my motives and the results I’m working to reap. I’m focused on what I need to do yet open to the path as it unfolds. I’m grateful for the tools I have available, the journey of the past several years that has led me here, and the people who have been there along the way. As scary as it can be to move forward, I’ve wasted enough time in my life being frozen by fear. I’m not going to allow my seeds to go to waste or for my crop to rot due to fear. I didn’t know that making that decision in 2013 would lead me to where I am today. I just knew that I would never get where I dreamed of if I wasn’t willing to do something to make it a reality. So I’ve marked my destination, mapped my route, and I’m embarking on a new path of my journey! I’ll continue to go with my gut and follow my heart. I’ll look up at the path ahead of me long enough to know I’m headed in the right direction, but I won’t look so far ahead that I get overwhelmed by how far I have left to go. I’m going to enjoy the journey and weather the storms along the way. I’m willing to do things I’ve never done to yield results I’ve never had (even though it scares me). So with that, I’m just going to say it. Back in May, I was inspired to create my first women’s retreat. A lot of ideas cross my mind so I write them all down and revisit them when I feel led to. A few months ago, that inspiration was revived. I began planning, reflecting, and creating. I started building even though I had no idea who would come. 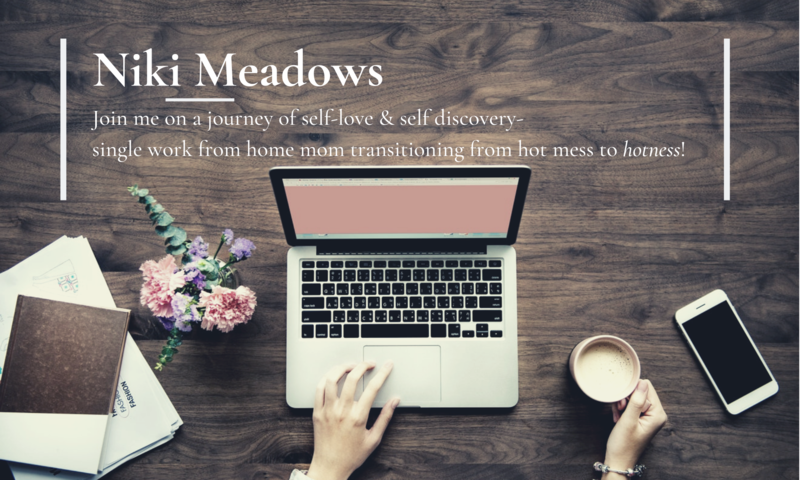 In the end, I created a retreat for 12 women to embark on the journey of finding themselves. This has been one of the most significant voyages I’ve ever embarked on and I’m so humbled to be able to empower and support these women to begin this journey for themselves. The date is set, the location has been chosen, and the venue has been booked. While I don’t know who you are, I know this will find you and I look forward to finally meeting you and the other 11 women I’ve been building this for. I’ve been going back and forth as to when and how to launch this. As my birthday nears along with the anniversary of my life-changing decision, it just felt right to share this now. I could edit and tweak the retreat brochure for months but at the end of the day, this will speak to those it’s meant to. To the women who don’t just feel lost in life but as if they’ve lost their sense of self. The ones who don’t know who they are or what they want in life. The ones who feel like they go through the motions of life but yearn for a sense of purpose. The ones who want something more but don’t know what it is or where to start. A part of my heart aches because I know that confusion, despair, and emptiness. Yet an even greater part of me is overflowing with joy for you because I know the power you’ll be tapping into by discovering who you are! So much time, energy, and love has gone into creating this retreat. From finding the location to coordinating the details. A great deal of care has gone into creating the practices, exercises, and events. I get all warm and teary-eyed just thinking about this because I’m overwhelmed by the magnitude of the shifts that will take place. There is such power in living life in alignment with who you are at heart. What’s incredible is how the shifts begin to take place once you are open and willing to embark on this journey. I’m humbled to support you as you as you do so. Click to receive retreat details! What are your thoughts on this post? Are you interested in a women’s retreat like this? Did you see this post in perfect timing? I’d love to know, feel free to share in the comments. I’m sending you lots of love and wishing you all that you need to support you in finding yourself and chasing your dreams! While reading this post I had goosebumps from beginning to end. I know what it’s like to be frozen by fear and not moving towards your dreams because of that fear. Your story is one of courage & growth and is very inspiring to me… I’m grateful you shared it. The retreat is something I am SO looking forward to. Happy birthday! Previous PostPrevious The Gift that Changed My Life (and Can Change Yours Too)!